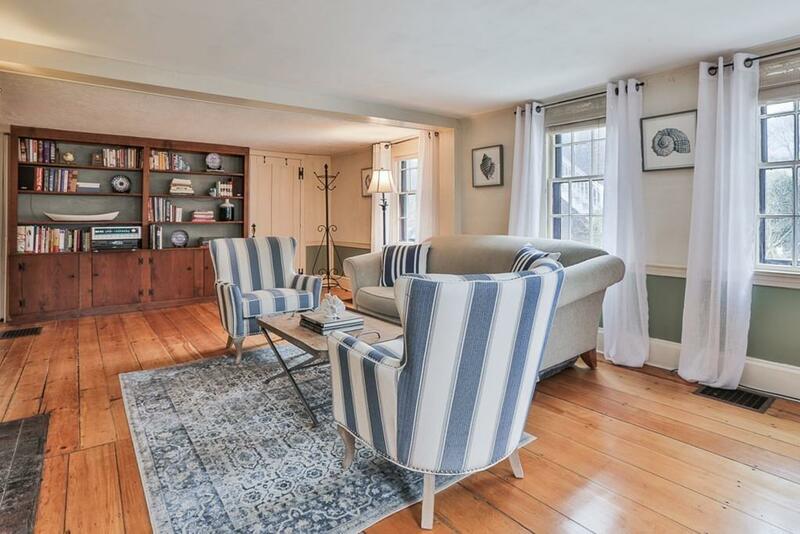 With the charm of a Nantucket Cottage a stone's throw to Newbury's coveted Upper Green, this 3 bedroom, 2 full bath 1736 antique has been meticulously maintained and improved by the owners and all the heavy lifting has been done! The kitchen has been beautifully updated while keeping its antique charm and boasts a Bertazzoni gas stove, Fischer & Paykel refrigerator and Bosch dishwasher. 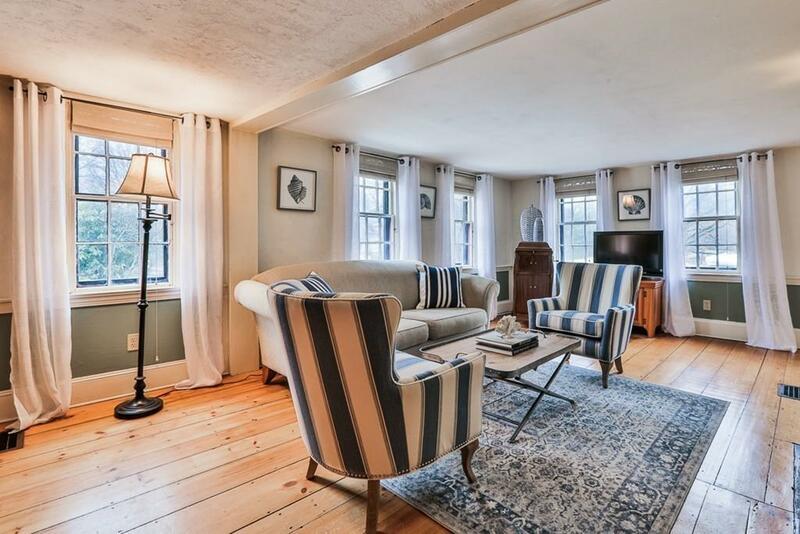 Huge front to back living room with wood stove insert in fireplace provides perfect spot to enjoy cool nights. 1st floor bedroom/guest suite also functions well as in home office. 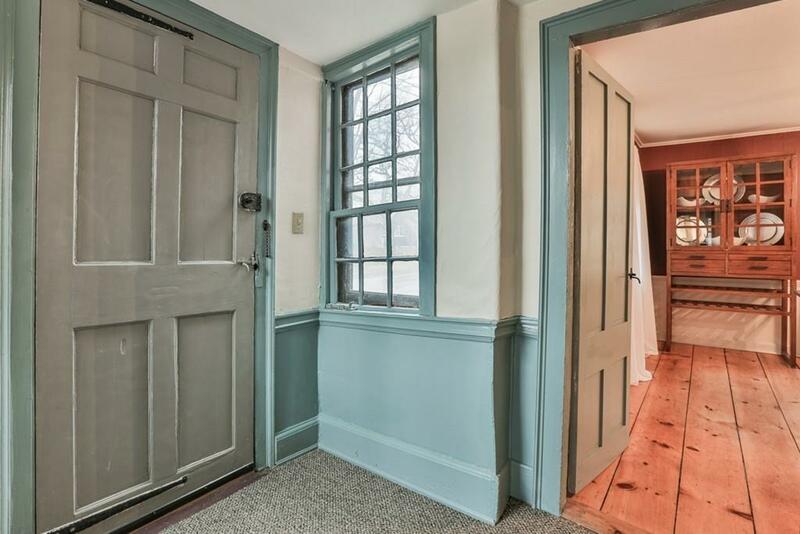 2 spacious bedrooms with custom built-ins and full bath with laundry round out the 2nd floor. A fully fenced yard, bricked patio area and 1 car garage complete the picture. 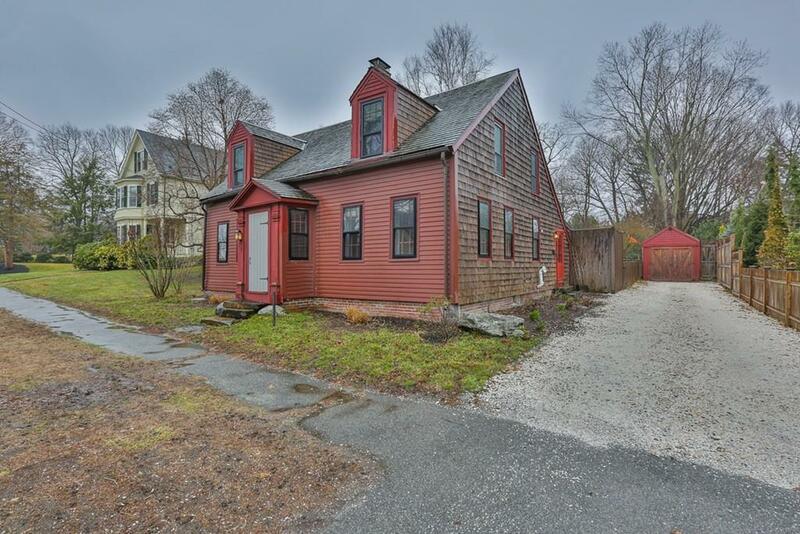 Minutes to the beaches of Plum Island, Commuter Rail, downtown Newburyport - don't let this be the one that got away! Listing courtesy of Cheryl Caldwell of William Raveis Real Estate. Listing provided courtesy of Cheryl Caldwell of William Raveis Real Estate.